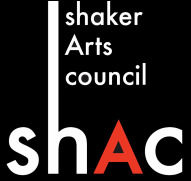 The Shaker Arts Council is sponsoring art related classes offered through the Shaker Heights Recreation Department. To register for the Fall Session click here. Online registration may not be functioning properly, call (216) 491-1295. Program Description: Beginning students as well as experienced artists will enjoy this collage sampler. Learn about different collage materials and try new techniques each week. Students will experiment with a variety of media and learn to use them as they form collage compositions. Karen Koch is a mixed media artist who draws inspiration from nature and nostalgia. Using modern and vintage papers, book pages, and paint with stitching and buttons, she creates colorful art, rich in texture and meaning. stories as they understand the value and depth of expression using ink. Alicia attended The Cleveland Institute of Art and received a Bachelor Degree in Illustration with a concentration on drawing and painting. She currently works as a professional graphic designer and illustrator. In addition to instructing, she has been actively freelancing, exhibiting and selling since 2012.
three pencils, an 11x17 inch white sketchpad, and a set of 18 to 24 colored pencils. Keith Nagy recently retired from john Carroll University as Director of Theater. He has a Masters Degree in Production Design and is a member of United Scenic Artist of America. Program Description:Use your cell phone and edit with Lightroom. This course is to teach you how to upload and download, and edit your photos into works of art to share with family, friends, and perhaps show at an art gallery. Cellphone or laptop with Lightroom required. Artist, teacher and entrepreneur Georgio Sabino III is currently developing two new applications that combine art and technology to revolutionize the ways in which we view the world. He also teaches at Cuyahoga Community College and Steel Union 979. GS3 Inc. is a multi-media design firm that individually designs for private and corporate collections. Program Description: A hands-on class about floral design. Learn how to select, arrange flowers, process and care for flowers. An additional materials fee of $25 must be paid to the instructor at first class. Program Description: An introduction to the ancient art of Middle Eastern dance (a.k.a. belly dance). This course incorporates history and health benefits while teaching basic techniques and isolations – using your arms, rib cage, stomach and creative use of a veil, finger cymbals, and other props. Isometric and aerobic health benefits. "Nailah” has studied Middle Eastern dance for over 30 years and instructs at dance and fitness studios and in private homes. She performs professionally at family friendly venues. Program Description: This class uses mixed media to explore ways of using color. An additional materials fee of $15 must be paid to the instructor at first class. Program Description: Discover, enjoy, and create radiant art on silk. No experience necessary. Students learn color blending painting techniques to create silk scarves or silk paintings to frame. Design ideas and handout packet provided. Materials fee of $25 payable at workshop. Peggy J. Wertheim, M.A.T. is an artist specializing in surface design on silks including silk painting, batik and Wearable Art. Her 45 yr. career began with fiber studies and an M.A.T. at Miami University. Her national career includes extensive teaching, art shows, gallery shows and private commissions. Locally her workshops and events have included The Cleveland Museum of Art, CWRU Valleevue Farm, Bay Arts, and numerous northeast Ohio venues.